Hi friends, my name is Shubham Baghel. I am a full-time blogger from India. Today, I will talk about top 10 popular bloggers in India and their success story how they become successful? Do you know, all those bloggers who are making more than lakhs of rupees monthly in India. Well: India has a lot of bloggers who grabbing money through blogging, but some are the famous blogger and work publically. But some are hiding their information as he/she doesn't want to be famous. If you know them, then you can also grab inspiration to make money online. These all bloggers are not a superhero. They are normal human like you and me who are making huge money only through blogging. Bloggers earn a lot of money with their independent passion. In recent days, blogging has been growing also in India. But still, it needs to grow. As yet, mostly Indian society people don't know about what is blogging. I wrote this article in order that I will help to motivate every newbie blogger who going to start blogging as a full time/part time career. Note- The numbers of this table are not defining bloggers level. Blogging can be the best full-time career. There is no need to any degree, diploma, and certificate. But there is the need only passion. Inside of this, if you are a blogger, so you can earn countless money like Neil Patel, Brian Dean without any kind of investment. For example, if you want to become your career as a doctor, engineer, etc. But in this field, you will lose much money with priceless year's duration. But there is no guarantee you will make a doctor or engineer and you will get a job that you want to do. If you want to make your career as a blogger, so you can earn a lot of money without investing anything. Day to day you will be learning something new in your own home. I have seen many highly qualified doctors and engineer who can't make huge money than a blogger. We see many governments or private employees who frustrated from their job, but they can't resign. Some Government employee earns money through illegal ways as they don't satisfy from their income and work. But even they aren't able to earn much money and sometimes they caught with mischief, and expose. There isn't need to go out to the office, coaching, and college, etc., in this career. You will be making money in your own home or that place where you feel comfortable. "In this field, you will not be heard boss sarcasm. You will be your own boss. Income Channel: Adsense, Paid advertisement & Affiliate. 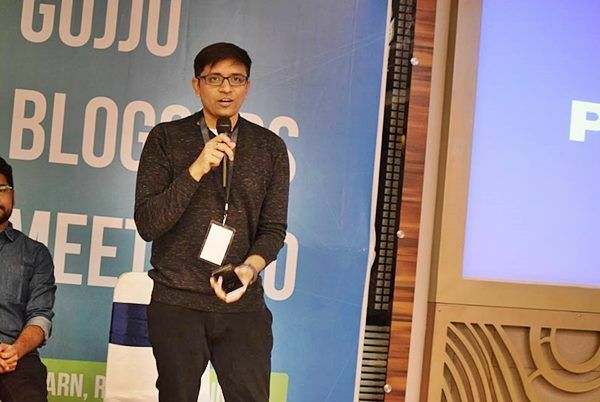 Success Story: Amit Agarwal is the first Indian blogger, who made a different opportunity of earning to India through the way of blogging. He has started blogging since 2004 but beginning days of his blogging career were very hard, people were didn't know what is blogging and "blog" word wasn't superscription. When he was going to the party. People ask what you do? Amit was saying "I write a blog and make money from the blog", so people were didn't believe that he earns through a blog. In that time, blogging was not a famous career option and Blogger word was heard like an "Allien word". When he attained engineering degree in computer science from I.I.T. After that, he had worked with many top-notch companies like ADP Inc. But Amit wanted to start his own venture, but he was not an idea of how to start a successful business? To complete his dream, he left his job and moved to Agra and after that he has had two options first, work with local marketeer (Baniya) community and create accounting an inventory management software for them but in this field, they weren't paying very well. Hence he didn't do this work and now he has a second option is - find some freelance job on the Internet, so he has created a blog and writing all of his achievements on that blog. By the help of that blog, he tries to find International clients. But he didn't get any clients and one day his father bought a printer. After which he wrote an article about that printer and that article had ranked 1 on the Google, this single article was getting a lot of traffic on Amit's blog. And many people were wanting to buy that printer. After which Amit has been starting writing about software tips and tricks. Whereby his website was improving the traffic and meanwhile he put Google Adsense ads on his blog. And he was earning a lot of money through Google Adsense program. 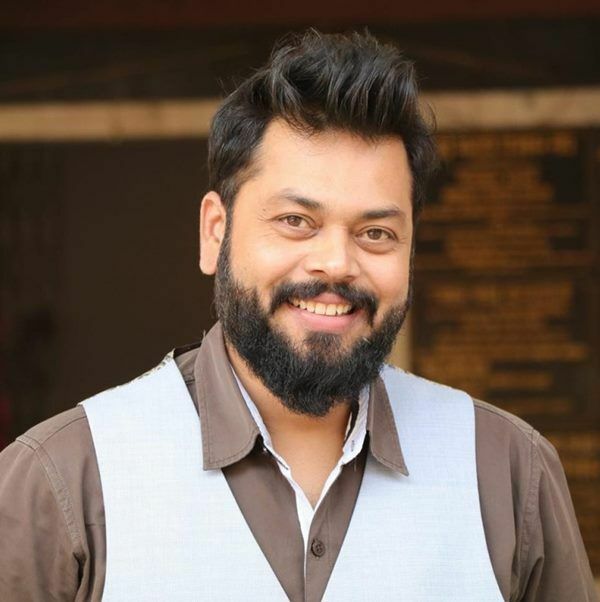 He has seen a big shock in the bloggers' industry, when the Indian government took an action cause of Mumbai 7-eleven blast (Whereby a series of train blast in Mumbai). All websites who were running with a Blogspot domain name were blocked because mostly blogspot.com domain name had written about religious content. So the cause of this order several popular websites in this country were blocked. Why his website becomes popular? One reason is probably he was the person in India who was writing a blog as a profession, so people were curious how this guy is writing a blog and therefore many people were checking his blog regularly. The second was he was writing a technology blog and during that time there were not enough technology blogs in the country and the world. 1. Extreme focus and consistency- He has been blogging since 2004. But now he even loves his work and after all these years he extreme focuses on stuff and consistently he does work. 2. Content matters- We know the content is always king. Without content, the website cannot get traffic. If you look at his blog carefully, then you may get surprised to know that he has written more than 6,000 valuable articles. 4. Time matters- He has been doing quality work as fast as possible. 5. Quality presentation- Labnol has a list of professional and unique content. Use PDF, self-made video, power point presentation, Google docs, etc., to make the article more professional and creative. 6. Neat layout and clean design- Design of Labnol is very simple and professional. 7. Less distraction- You may have heard the first impression is the last impression. If you check out any pro blogger blog, so you can be noticed that their blog is less destructive and they focus on content. If you put many ads and sharing buttons may lose your valuable readers. Income Channel: More than 50% income comes from Affiliate, and other income sources are Paid review post, Adsense, Direct advertisement, etc. Success Story: By the way, Harsh is an engineer by the education, but he is a pro blogger by profession. When he started blogging as a full-time career, that time his parents was against it. But he was doing it as a listened to heart. After he is making good money by his passion. He has created a large blog network in which included very effective blogs like Shoutmeloud, WPhostingdiscount, ShoutMeTech, WPSutra, CoinSutra. Harsh Agarwal has started his blogging journey since September 2008. Before he was doing a job as an engineer and he was frustrated with that job. In earlier days, he was started his blog just for fun and those days he hosted his website on Blogspot platform. He earned first online income $10 via helping a guy resolving his WordPress error at digital point forum. Initially days, he was more interested in network and security, hence he wanted to buy a domain name "Underground World", which was already taken, so he simply chose a domain name vergintech.blogspost.com (I really laughed when I heard about it). Harsh earned his first blogging income $ 40 in the first month. When he made $ 40 through Google Adsense, so he decided to do blogging as a full-time career. In March of 2009, he left his full-time job of 6 months. After three months, he was getting good results from the website, so he thought about investing in his blog. After which he migrated his blog from Blogger to WordPress and bought a domain name. By the end of three months, he had aware of the importance of branding of a blog. And he chose a domain name "Shoutmeloud.com", the cause of his uniqueness. How ShoutMeLoud found its niche? Initially days, Harsh was written about the tech stuff, which you can easily find on other blogs. Later on, he started writing about blogging &WordPress based article on his blog (That's based on Harsh experiences and experiment). People were liking that stuff and keep continue liking, so thus ShoutMeLoud found its niche. And since that, he is working full time as a blogger, but he truly satisfied with this job. One day (on June 29, 2009), he met an accident and this was changed harsh life completely, his leg had badly hurt the cause of this accident. And the doctors put harsh for bed rest for 6 months. During this incident he couldn't have moved his leg, so he dedicated his 100% to blogging. Since that, he had nothing else to do. During that time, he spent almost 14 hours a day in front of the laptop. Those 6 months changed everything in his life and given a new direction. In those months he studied about many top blogs and how they succeeded? Is Good to make a website with a partnership? Harsh has a very bad experience for partnership. Around January of 2011, he made a blog with Pune-based blogger. During that time, he thought we both will take blogging and Internet marketing to the next level in India. But one day, his partner cheated harsh and he shifted back to Delhi to start his own venture. One thing he learned from this experience is, should try to avoid partnership until last. If you have any compulsion for partnership, so complete the paperwork first. He has a dream. He wants to make blogging as a full-time business and set it as an industry in India. And he sure that one day I will have a big office and many bloggers will be writing on their blogs sitting in their office. According to the ShoutMeLoud income report of July 2017, he made $ 52,434 in July month in which team expense $ 12,670 is included. If we see the ShoutMeLoud income report without team expense, so he made $ 39,764 in a July month. When Harsh was doing someone's job, then he was making nearly $ 10,000 in a year, but he made nearly $ 52,764 in a month that more than fivefold from a year salary. Income Channel: Affiliate, paid post, Adsense, SEO services. Amit Bhawani is a blogger who was started blogging as a full-time career since 2005. Now he runs a web development company in Hyderabad. 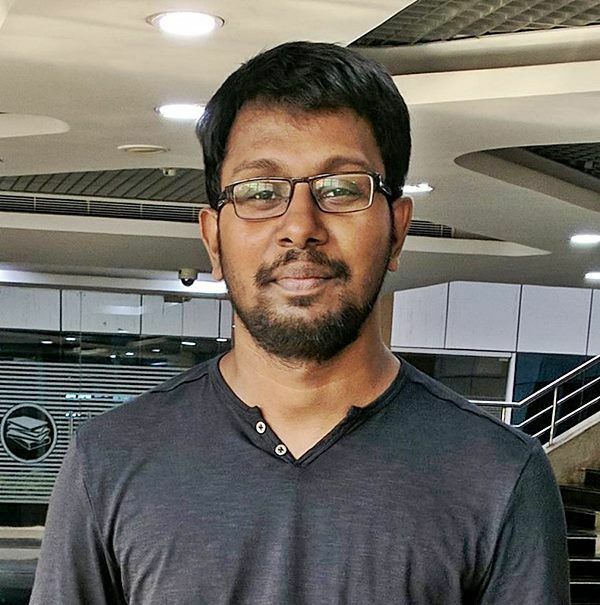 He writes articles on AmitBhawani.com which provides multiple sections like Tech blogs, Career Blog, India news, and many other sections. But nowadays he made a new website Phoneradar.com and working out at this site. He handles all network of 55 blogs and websites with just 7 person team. His team even provides SEO services to client mainly towards US & UK. According to Amit, most of B-school MBA Professionals can't make half a crore rupees in a year, but a blogger with hard work can make it. Before 2007 Amit provided SEO services. His team has a strong portfolio of clients and their clients receive excellent results in the Search engine ranking. But one day, he thought that starts his own blog, and implement his SEO skills on his own project so that he would not have to worry about the client satisfaction. So hence he starts Phoneradar.com. But now Amit doesn't tell his income report in an interview. Amit is awaiting tesla model 3. In 2014 he had booked tesla model 3 car in advance $ 1,000 that should come with 2017 but now this car release date is increased so he awaiting 2019. How many bogs who Amit has subscribed? He has subscribed to many blogs, but some blogs he mainly read is mattcutts.com, engagdet.com, problogger.com, techcrunch.com, lifehacker.com & moneycontrol.com. He reads these blogs so that he keeps updated. Income Channel: Affiliate, product reviews. Ankit Singla is a popular blogger and owner of bloggertipstricks.com. He is the first blogger who has achieved Alexa rank below 15 K in just 6 months. He has been blogging since 2010 and now his website has been getting millions of visitors in every month. 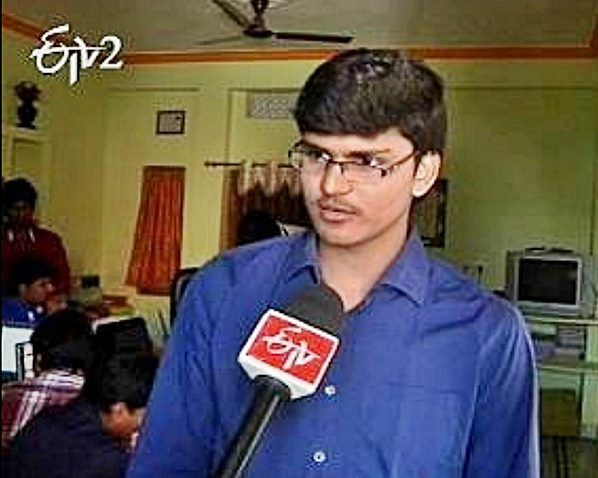 He has been getting featured on many big sites and even a national news channel NDTV Prime has taken an interview with Ankit, the cause of his skills. His blog almost all articles are ranked on page 1 at Google. Why his almost all pages are ranking? He builds high-quality authority backlinks, building quality links is not an easy job. But Ankit does this work honestly. 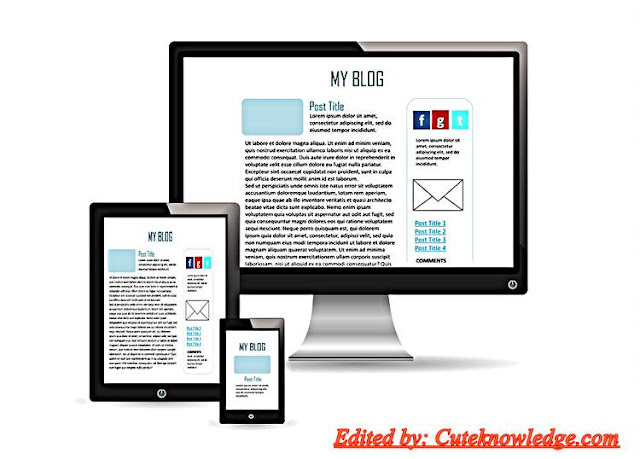 He writes about blogging tips, tricks, blogger and WordPress tutorials. If you need it, so you can check out his blog. I am a regular reader of his blog. He writes quality articles with easy words. He has a lot of blogs, but he mainly works on BloggerTipsTricks.com. "Build a successful blog takes a lot of time. I have been running this blog for more than 8 years now. If you think, you can achieve success within 3 months, so you are doomed! Success takes a lot of time, especially online." "Self-teaching is the best learning. Even when I started out as a newbie blogger, I have had no one to teach me SEO, making money online, or increasing my traffic. I learned all by myself, made mistakes and continue to survive." He wanted to share his personal experience and mainly help to newbie blogger was the main aim of starting Bloggertipstricks. Which are the favorite blogs of Ankit? He likes to read many blogs, but he gives more value Lifehacks, Quicksprout, and Backlinko. 1. Work on the blog and other online activities. 2. Self-development: which includes fitness, reading, developing new skills, etc. If you unfit, so you can't give your best. Body and mind need to always stay fit. 3. The most important is relaxing. If you don't take enough relax and sleep, so you can't give your best. Take a good and enough sleep to do quality work and stay clear mind. Which is the biggest mistake of his career? Before starting BloggerTipsTricks, he worked in another niche whereupon he lost a priceless time and valuable efforts. And another mistake is he was making money only from Google Adsense, that was his biggest mistake. The cause of this monetization method, he wasn't making good revenue from his blog that he was deserving. He did the research and acknowledged that affiliate marketing is the best way to get superabundant revenue from such blogs. He learned from this mistake- "Must know which blog monetization method works best in our niche, only then one must start own blog. And don't much trust at Google Adsense." What are his top income sources? He makes money through Affiliate marketing and sells product's service like Semrush, WordPress hosting, etc. Even in his blog, he made my blogging tools category (Within this category he affiliate products and make commissions). "The size of your city or town could not define the size of your dream." Success story: Kulwant Nagi was born in the small town of Fatehabad in Haryana. Once upon a time, he was working as a normal Engineer. He says that "I was doing the job at least 10 hours in a day, but I was earning negligible income 7 to 12 thousand per month that was insufficient for my family expenses." Sometimes Kulwant was working on the overnight shift. One day, he decided to leave the job. He had frustrated with that job cause of personal and professional jolts. After this incident, he moved on to the Internet and searching how to make money without investment. One day he got an article "how to make a blog without any investment?" since then he was learning about blogging. But it's not easy for him. Initial days, he could not have written or speak good English. But he makes his English perfect by his learning attitude. Now he can speak or write good English. By 18 months, he was blogging without getting money. One day, he made $ 100 a month through Google Adsense that gave him hope. Today, Kulwant become a millionaire blogger. He has traveled more than 15 countries. He said- "I could not have traveled in other countries if I didn't become a blogger." "There is no magic tricks, no money in hand, no blogging background, but now he is a top affiliate marketer and blogger from India. It's possible by his hard work, struggles, and sacrifices of life." His childhood education pain: Kulwant was studied till 12 standards in Government schools. He was inspired by one classmate, who was preparing for the GRE exam. So Kulwant was inspired and made mind to pursue higher education from the USA. In this exam, he faced many problems. He was didn't know well English. So he was going to the English spoken classes so that he crack TOEFL (Test of English as a foreign language). In 18 months he learned enough English to fight this exam, he applied to 6 universities in the USA and luckily he got the admission letter to all of them. But he decided to drop this career cause of family financial problems. Although Rochester Institute of technology offered Kulwant to $ 16,000 scholarship, he could not have afforded tuition fees after admitting. After this incident, he cried every night for 6 months cause he had seen dream to such lifestyle. 1. First is read more. If you read more, so your knowledge grows more. 2. Take action. If you have the precious knowledge, but you didn't apply to your work, so you can't become successful. 3. Don't look for shortcuts. There are two ways first is shortcut way that is not good to longer works, and you can't get good results through this way. Second is hard work. This way is a perfect way that is good for long time work and you will get good results through this way. According to Kulwant, Which is the best blog monetization? Affiliate marketing is one of the best business as in affiliated terms, we don't have an extra headache to provide customer care and refunds or we can easily make money. Well reputed companies provide the best products to advertisers considered their reputation, reader's engagement, and publishers get more conservation with a handsome amount of money. 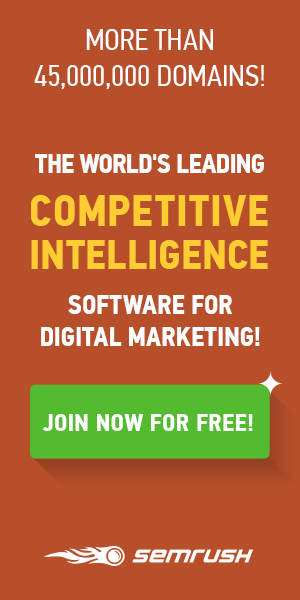 Now affiliate marketing is growing in India. So affiliate marketer has a great future in India. Day to day, affiliate marketing is growing in India. Will Adblocker kill advertisers revenue? Day to day the number of users who using ad blockers are increasing, but the number of Internet users is also growing. So the window of banner ads can be closed anytime. The perfect solution to this problem is email marketing. Start building user's Email list from your blog, so that you can sell anything when you want. Why people fall when they are starting a blog? People just want to see better results and they can't see bad experiences. But the good result makes after you have seen many bad experiences and still you keep working. Most of the bloggers in India are teenagers and they don't treat a blog as a business, but they treat a blog as a part-time career. A successful blogger has a business mindset for their blog and they are full time in this field. But some people are a blogger as a hobby, so they can't make money by blog. According to Kulwant, the difference between blogging is- treating blogging as a hobby vs it a business. 1. Don't jump from niche to niche. First, you make a master in one place and then move to another." Many people don't become a successful blogger by this mistake. You need to find your interested niche and achieve a great position at that place. After this, you can make another blog to another niche. 2. "Blogging is a profession, it's not a hobby." Need to treat a blog as a business many newbies make their blog as a hobby and they don't get the success. 3. "Make the mistakes and learn from them." Always remember every master was once a learner. Anybody doesn't make perfect work in initially days. The perfection is made after seen many bad results. 4. Don't annoy other bloggers by asking very simple questions. "Master the skills to use Google perfectly and use it to find your solution and still you didn't get the solution, so you freely ask your questions in forum site where you will be getting answers. 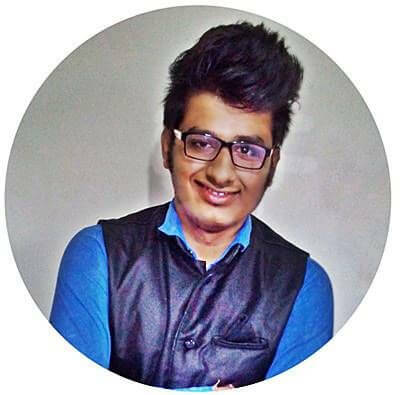 He is a very famous blogger from India and founder of HellBoundBloggers.com. Pradeep Kumar is an engineer as education, but he is a blogger by his profession. He has more than 4 websites HellBoundBloggers, MoviesDrop, and Slashquare. He even has some personal blogs. He is a techy person since childhood and he even likes to help other people. One day, he got to know Google's blogger free platform. He decided to start his blog with the name of HellBoundBloggers (Like a gang of bloggers). Luckily, this domain name is available. Pradeep had made various mistakes when he was a newbie. Mistakes are a part of success if you make mistakes, so you step up to success. But the exigent thing is to learn from all mistakes. He confirmed that currently he also makes some huge mistakes. But he never again reveals these mistakes. His one big mistake is he did was migrated his blog from blogger to WordPress. But he didn't analyze the current procedure and the drawbacks. He lost his website's traffic, subscribers, and generate hell a lot of broken links. "Bad experiences are not bad, but those are just experiences. Sometimes we win and sometimes we learn, both are very important." What thing Pradeep do while writing a blog post? He writes an amazing blog post by whole Internet posts about the same topic and related topic. He compares his post with them and checked out what is fewness in those posts after he put some additional information. Inside of this he also checks the comments of his competitors and knows what having a deficiency and what readers want. Before promoting his blog post, he makes an attractive post title and images. These two things are very important to attract readers through social media. He also finds the right time, share your post while your most friends and fans are online. This is important to grab social media readers. Social media engagement also helps to inform about your post to Google. What is his argument about Google algorithm changes? Government and non-profitable organizations aren't ranking Google. We know Google is own by itself, so Google has right to change its algorithm anytime. But one big bad update can ruin Google completely. So Google makes its update so that provide quality information to their users. If you provide quality work, don't cheat, don't use black hat SEO, don't produce cheap content, and don't spam, so you won't worry about Google update changes. Google updates its algorithm so that users getting the quality information and they never look another page. The user's query must be complete in a single page. If you follow Google and user's all demand, so the changed algorithm will you bring up. "Google is always very clear with its updates." Which is the best way to get high-quality backlinks that don't harm when Google updates its algorithm? Guest blogging is always evergreen. Always build backlinks from reputed high PR sites. Another useful way to create quality backlinks is to create "Infographics" and make them viral. This technique is made by Brian Dean the founder of Backlinko. When someone uses your infographic, so they will link you. The one another advantage of this technique is you will be getting the links to your niche related website. Inside of this, if you are a developer, so you can be got backlinks by developing some plugins and themes. But always remember never built sitewide links, Google considered sitewide links as a black hat SEO factor. Hence, never leave links in the footer, header, and whole website. If you have no choice inside of side wide backlinks, so you make those links no follow. First, the blogger should analyze their target audience. Find out why they need you or what they want from you. Always give a 100% to the audience. It will be converting your visitors into fans. "The only way to deal with SEO is to act natural." Pradeep argument about "lots of people start a blog, but why they soon end? What are the things which you make so successful? "I considered myself successful because I never defined success in terms of money or good results, I considered a success in terms of satisfaction." Every newbie blogger should be doing it for passions, don't take the blog as the source that generates huge money. Website: JaneSheeba.com and more than 20 other websites. Income Channel: Affiliate, product reviews, advertisement. Success story: When she was completing PH.D., in the U.K., during that time she was living alone and very far from home, so she was basically trying to cope with her loneliness. At that time, she was move to the Internet and started reading many blogs, so she knew about many bloggers who share nice information and making money. So she had inspired from those bloggers, therefore she got the idea to start her own blog venture. After a while, she has started a blog that was multi-niche. But she wasn't able to face multi-niche audience comment, so she decided to start different blogs with one particular niche. She also uses some online tools like Semrush, Longtailpro, and market samurai, etc., to generate post ideas. She writes every day at least 1,000 words to manage her all blogs and use focus writer to avoid all disturbance, this tool makes her consistent focus. Inside of this, she also writes social posts, newsletter, and other materials. She enjoys writing cause of daily writing habit. But she hired an assistant who helps to create images, formatting and publishing the posts. She makes a list of needed images and gives this list to him. According to Jane Sheeba, guest blogging is a golden word for every blogger. Every new blog needs to do the guest posts to improve SEO visibility like that every authority blog needs to get a guest post to increase the number of quality articles. When she chooses a blog to the guest post, so she doesn't consider about the authority of the site, PR, Alexa rank, or other SEO benefits. She always checks the quality of the article of that blog, the authority of host blogger, and the level of content engagement. Inside of this, she checks the quality of article that comes through guest blogger, and she never compromises from the article's quality, even if it is a sponsored post. Which are the best link building methods? First, you should create top quality content and useful content so that people will link to it naturally. Inside of this, if you are using guest post and blog commenting, but always considered in mind that you are building a relationship with another blogger. Don't use this method if you just want to build a link. Her mistakes of blogging when she was a newbie blogger. 1. She was using Google Adsense to monetize a blog and put Adsense advertisement banners on all over the site, where from her blog revenue was badly hurt. 2. She was treated her subscriber very badly, she was not telling subscribers what product she was using or what product would be good for them. It causes she was losing an opportunity to make decent money. 3. The third is in her initial blogging days she had published awful content that was badly hurting readers satisfaction and SEO. Income Channel: Direct advertisement, Affiliate, and Adsense. Success Story: Shraddha Sharma was at the top tread of CNBC news, which involved her speaking with a lot of entrepreneurs. But nobody knows her success story. "When I started yourstory.com, I had to make a choice. I listened to my heart and started yourstory.com." You even heard yourstory.com. It is a very popular website. 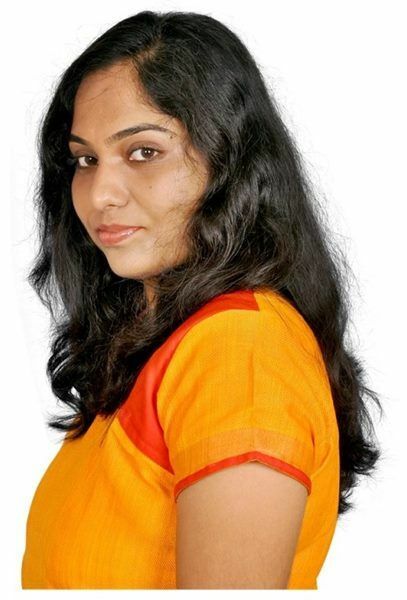 Shraddha Sharma is the founder of this amazing website. She has started yourstory.com since 16th September 2008. She was born in Bihar, India and completed her MBA degree from MICA. After the study, she was joined T.V. Channel CNBC. During this job, she was introduced to the world of entrepreneurs and she was listing their stories. 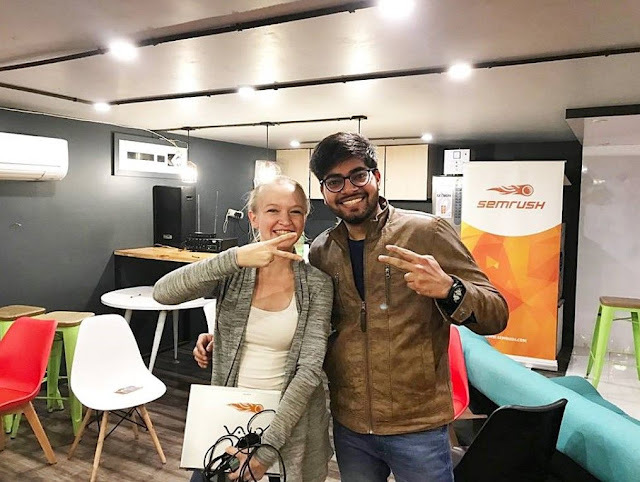 During that time, she had realized what was lacking- a common platform to share entrepreneurs success stories, so she found the best way to present all success stories to the world. Hence, she made a website with a suited name. When she left the luxurious job, then different people treated her differently. Most of the people were trying to make her moral down. But entrepreneurs appreciate her work from the day one. When she was starting YourStory.com, then she was quite her high paying luxuries job on CNBC channel, to start up her own venture, as a storyteller. When she decided to share all the entrepreneur success story in just one website, then she rightly picked domain name yourstory.com, that was luckily available. Success is not an overnight game. It takes a lot of effort, passion for what your work is. In 2015, yourstory.com has covered more than 15,000 success stories of entrepreneurs. It does not look like short numbers of stories just within 7 years. 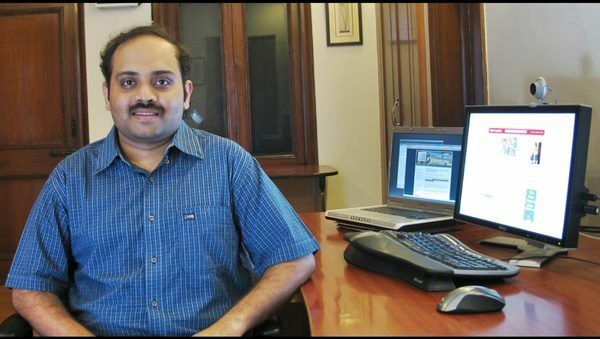 Success Story: Arun Prabhudesai is a blogger who has started blogging career since 2007. Before, he was working in software, IT industry. When he was working in the U.S., back when he was unsatisfied with his job, and he wanted to come back to India to start his own venture. So he was moved on to the Internet and reading and researching a lot of blogs like Amit Agarwal's labnol.org, Mashable, Techcrunch, BoingBoing and a few others. So those days was not easy to use WordPress correctly. Sometimes it's very hard to install and uninstall a plugin. When he entered the world of Internet marketing, so he had no idea how to make money through a blog? How to do correctly SEO optimization? He made a blog just for passions. Because he wanted to write business and technology all stuff, so he wanted to buy a domain name Track.in, but badly this domain name had already taken, so he took the domain name Trak.in (Without C). How he manages Trak.in site's SEO? When he was entered into the world of blogging, so he was didn't know about SEO, but when he knew about SEO, so he obsessed with SEO. He used to spend more and more hours on SEO rather than concentrating on content. But after that, he knew that first I need to create more and more quality contents. The content creation is the most important thing to optimize a website for SEO. If you have quality content, so your most important part of SEO has already done. But if you have useless content, so no matter "How you optimize your site for SEO?" Income Channel: Adsense, Affiliate, and product review. Success story: Imran Uddin is a 23 years old guy who lives in Hyderabad. He started blogger career to earn pocket money when he was 18 years old and running his 2nd years of engineering degree. He was born in a lower middle-class family and money was was a big problem in his life. When he was in school, then he was working as a milk supplier and a shopkeeper. And during that time he wanted to kill his poorness. So he started developing some unique skills like magic, hacking, programming, and swimming, etc. During college time, he used to the Internet to learn anything of the primary level. One day he got the idea that starting an own blog as a diary. So he made a blog on a free Blogspot platform. But that time wasn't idea about how to make money as a blogger? He was blogging just as a remembrance of some useful tips and tricks. But after that, he realizes that he can earn money through it, so he decided that starting a blog as a pocket money source. So he joined some online groups of the bloggers and started helping other people in the groups. But then he has had not any idea about what is SEO, one day an individual advised him about considering SEO. So he started to implement SEO optimization. But during that time, he wasn't an idea, so he was starting copying other articles, but soon he realized that this is wrong and don't workable for a long time, and I can't make my true readers by doing this. So he started writing articles through his personal experiences. In the starting 4 months his blog had driven decent traffic through the search engines and social sites, but during that time he made nothing money. 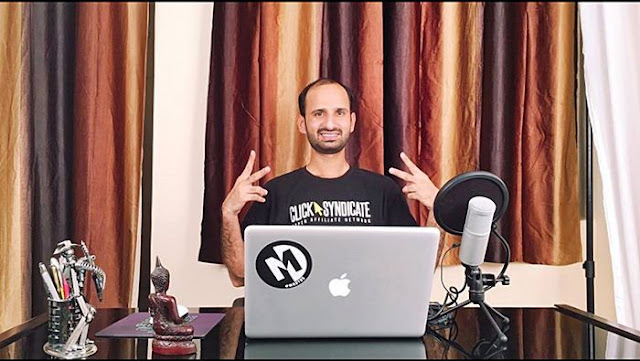 He made first online income INR 300 that give him hope of making money by a blog. And he made 2nd online income INR 2,500 through Info link. After this, he ignored regular academic and keep making money through blogs. And the 3rd year of his college, he started making more money more than MNC's offered company that offered him. Now Imran is a popular blogger who makes 7 figure income. 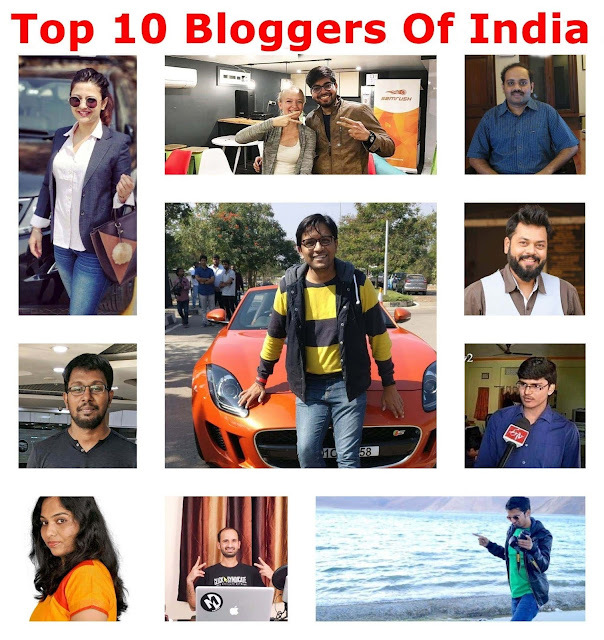 Friends, how you felt today's article- Top 10 Bloggers In India (You Should Know Their Success Story). If you have any suggestion about this article, kindly let me know into the comment section below. The reason why I shared this list is to give you examples of people like you and me and who are working Online. Thanks for enjoying this article. Keep reading keep visiting again. You've got a great post here. I always like to read list of famous people like actors, singers and never the less bloggers. Yourstory.com is a nice website. It have crazy amazing information about entrepreneur success story. I like this website so much. Really very inspiring post. It definitely inspires new bloggers. Thanks for sharing their stories. Thank you so much, Anand, for your valuable comment. Nice post Shubham. Iam truely inspired by the stories of successful bloggers. Thank you so much Dazz Posting. Thank you for your support. You can follow us on social sites or subscribe our RSS feed. I unfortunately find this blog, but after reading i feel great because it valuable blog post for me because i am also going to start blog and i always follow shoutmeloud by Harsh Agrawal but i got 9 other source to read new knowledge. This is really a nice and informative post. It is detailed and help readers like me to a great extent. Very nice and helpful article, keep up the good work. It's great to know Impressive thanks for the post. very nice post. truly inspired by them. of this post, in my view its genuinely awesome designed for me. I'll right away grab your rss as I can't in finding your e-mail subscription hyperlink or newsletter service. Hi, you can subscribe our RSS via subscribe now widget. That is in the upper area of your laptop. If you browsing via mobile, so the widget is in after the article end. Really Inspiring stories, Bookmarked to stay motivated.